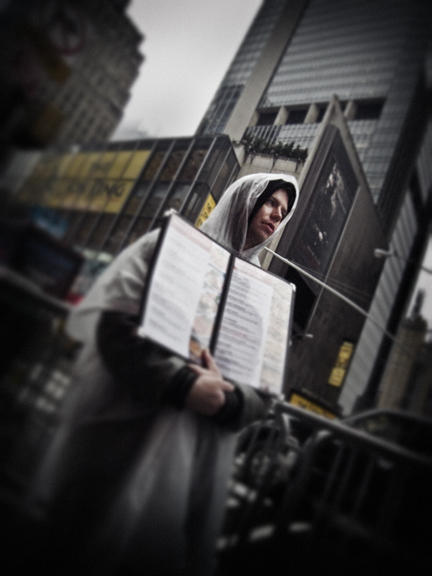 Image | This entry was posted in New York City and tagged #everybodystreet, Manhattan, menu, midtown, New York City, rain, Ricoh Caplio GX-100, street, street photography. Bookmark the permalink. Now this is a very cool shot….well, maybe a wet shot but it’s still very good. Wet yes. Not everyday is sunny, including my disposition. Same rain as in Philly. Spring will never be here….